ooking is an important part of life, it's what provides nourishment for our body and gives us the energy to work so that we may shop for wonderful things. And thus, the cookware we choose is equally important. You can buy cookware that will last you a few years, or you can buy cookware that lasts a lifetime. The price differential is about double. Personally, I prefer to be set for life. Founded in 1960, All-Clad is the last true American cookware company remaining, with American workers forging American steel in southwestern Pennsylvania. With it's bonded aluminum and steel, it offers superior even cooking across all areas of the pan. Careful attention is applied both to the composition of the metal as well as the construction, and no corners are cut. All-Clad today provides several lines of cookware, from their original and classic stainless steel (aluminum core, polished stainless exterior) to MC2 (solid aluminum core with brushed steel exterior) to LTD to LTD2 to Copper Core and more. They even offer new non-stick surfaces as well which, despite my loathing of the concept, offer far better staying power for the nonstick surface than all other nonstick pans I've tried. 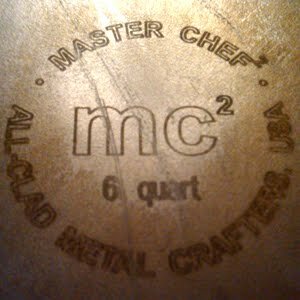 I've chosen the MC2 because I like the non-fussy exterior that develops a patina of sorts over time. For those used to the convenience of nonstick, you'll be instantly impressed with how well the All-Clad stainless pans clean up. Soak them for about 15 mins and wash with soap and water and a non-abrasive scrubber and you'll quickly find that they gleam as if they're new without that classic "elbow grease" required for similar pans. 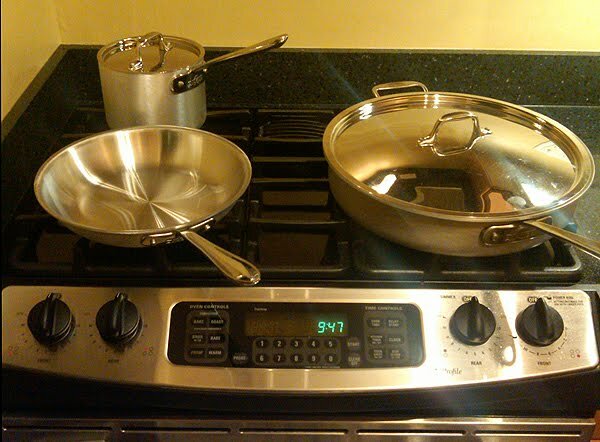 Like other pan manufacturers, All-Clad provides "sets" of pans for purchase. You can also buy them individually. I'd steer clear of the sets; while they cost less per pan, you'll quickly find that these sets come with items you'd never use, thus losing your price advantage that sets offer. Instead, buy one or two pans to get you started and then add to your collection based on need. Cleaning requires soap and water, nothing else. Make sure the soap is the creamy stuff like that which you'd use on your hands, and a non-abrasive scrubber. When cooking, make certain to use wooden utensils for stirring. If after cleaning your pan you see bluish water marks, you can either forget about it or gently apply a powder cleanser (like Bartender's Keep) to the pan to remove it. Use a sponge and clean in circles, following the "grain" of the metal. Give it a try and let me know what you think. I doubt you'll be disappointed! s gin season winds down, bourbon season approaches us. I kicked off my bourbon extravaganza at Char No. 4, a fantastic restaurant in the Carrol Gardens neighborhood of Brooklyn that has an unparalleled collection of bourbons on hand to try. Samples may be ordered in small quantities so as to try any number of their 150 whiskeys on hand. Our samples were paired with good company and a great dinner, and then interrupted quite suddenly when the frat boys found address. Despite that, it was an excellent evening, and among the bourbons sampled, Makers 46 took top prize. It was rustic and smooth, and the barrel wood really came through. This is a new bourbon for the Makers Mark brand, and they put together a fine sipping experience. 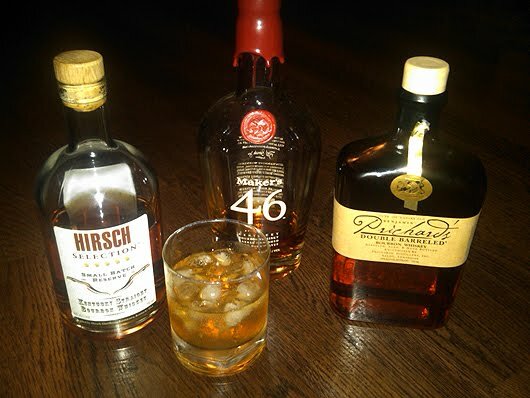 Inspired by the evening, I stopped by my local package store and picked up a bottle of Maker's 46 as well as a bottle of Hirsch Selection Small Batch Reserve Bourbon. The latter was about $6 less than the $36 Maker's 46. My friend S.G. was visiting from out of town, and kindly contributed Prichard's to the mix. The Prichard's is a bit more "old school" and rustic compared to the other two. There's woodiness and earthiness to it, and it's a bit more unrefined - in a good way. The Hirsch is almost the opposite: Smooth, very refined, with a lot more complexity in the palette. Maker's 46, as shown above, is right about in the middle. I'll keep trying more; a show of kindness to you, dear reader, to make sure you know the very best in bourbons for this upcoming season of brown spirits. It's a difficult task, but I'm up for it! as up on 57th St today for a meeting with someone. At its conclusion, I took a detour over to Worth & Worth (57th St @ 6th Ave), arguably New York's most famous hat store. As a matter of personal preference, I like it more than JJ's (J.J. Hat Center - 5th Ave @ 32nd St), though both are fully respectable. 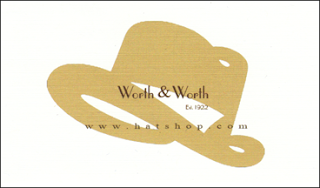 Worth & Worth predominantly sells hats, but they can also make custom suits and shirts, and they are the only place in New York where I've found M. Talarico full-stick umbrellas for sale. The salesmen at Worth & Worth have always been great; friendly, very knowledgeable, and excited about their products. I had a wonderful conversation about panama hats and felt fedoras, and while I didn't make a purchase today, I felt that I had left with more knowledge than when I arrived. For example, I learned that some of the straw used in panama hats will darken with age, while others may not. This adds a lot of interest and texture to the hats. I also learned that the stiffness of felt hats is due to the amount of felt used to make it. More felt = stiffer brim. Learned about making hat adjustments and blocking, which was fascinating! So if you are in the area and can spare the time, I'd highly recommend a visit. The store is beautiful and you're sure to have some fun. Whiskey colored shell cordovan shoes - photo © of the Horween Leather Company. here is probably nothing worse than sporting a fine dress outfit and pairing it with crap shoes. If you find a pair of new "dress shoes" for less than $300, you're likely wearing crap shoes. I say "likely" because the frugal shopper may actually find a deal or two out there. The pinnacle of dress shoes are those made with shell cordovan leather. Cordovan is sometimes used to define a color - a ruddy brownish color bordering on burgandy. There are lots of shoe manufacturers that offer cordovan colored shoes, sometimes labelled "Cordovan". There are far fewer manufacturers offering true shell cordovan shoes. Don't get them confused! Shell cordovan is a type of leather made from a horse's rump that is extra smooth and durable. The tanning process can take as long as six months, but the end product is outstanding. Shell cordovan shoes will outlast any pair of bovine leather shoes nearly ten-fold, while the price of shell cordovan may be about double. That equates to some serious value. One of my favorite manufacturers of shell cordovan shoes is Alden - one of the last producers of hand made shoes in the US. Alden sells a variety of genuine shell cordovan shoes in various colors ranging from the natural cordovan color to black, to various shades of brown ("cigar", "ravello", and "whiskey"). Most are offered new between $500 and $700. 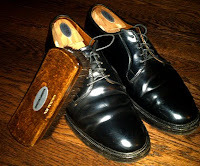 With care, these shoes can be worn regularly for 30 years while developing a patina that makes them look even better. Watch them get made compliments of this documentary by Epaulet! It's amazing the time and care required to make good shoes. Of note: These are hand made shoes, but they are not custom made or bespoke. The shoes are molded from various lasts (the wood form made for each shoe) whereas bespoke shoes have a last carved from a form of each of your feet. Bespoke shoes, like that of John Lobb or Edward Green can cost twice as much as a pair of Alden shoes. 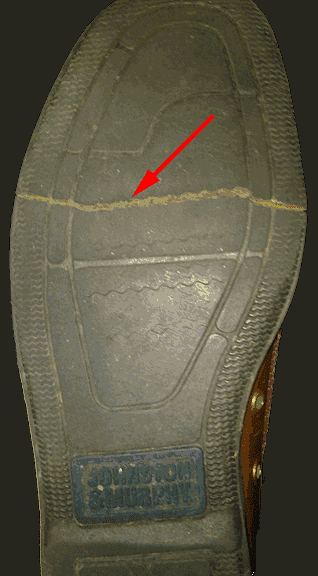 If you think that's beyond absurd, keep in mind that a perfect fitting shoe will have no tight spots and no wear that may be caused by deviations between the shoe and your foot. I'll cover this topic in more detail another time. 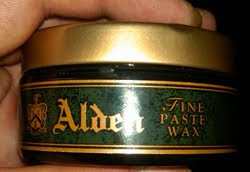 Alden paste wax helps protect your shoes. Use only paste wax to shine the shoes. If you use Alden shoes, use their paste wax (at right). The crap made by Kiwi is not a paste wax. Do not over polish! Unlike your old pair of dress shoes, shell should only be polished (very lightly - aka very little polish) perhaps every six weeks with regular wear. If they get scuffed, just use a regular horse hair shoe brush and brush away for five to ten minutes. Die hards go at it for fifteen. If they get wet, don't panic. Wipe them off, let them fully dry, and brush. Use shoe trees! Shoe trees are wooden inserts that go in the shoes immediately after they've been worn. There are beautiful poplar and cherry shoe trees available, but the best are made from cedar, which absorbs moisture. If you don't take care of them, or if you buy a pair that were used and mistreated, hope is not lost. For $145, you can send them back to Alden to be restored. There's a fellow that bought a super beat up pair of Alden shoes on eBay for $20, and sent them in for restoration. You can read about it and see before and after pictures. He ended up with a fabulous pair of shoes for $165 after restoration. And that's the shell cordovan difference. f you took my advice and are wearing pocket squares on a day-to-day basis, then you might ask how one is supposed to go about "dressing up." You can wear a tie, of course, but so is everyone else. My answer is simple - stickpins. Back when occasions for dressing up included wearing a three piece suit to the beach, many gentlemen distinguished themselves with stickpins. Stickpins are long-ish pins, ranging from 1.5" to 3" long with a small, fingernail-sized ornament at the head. They were typically worn through the tie and shirt, so as to anchor the tie. 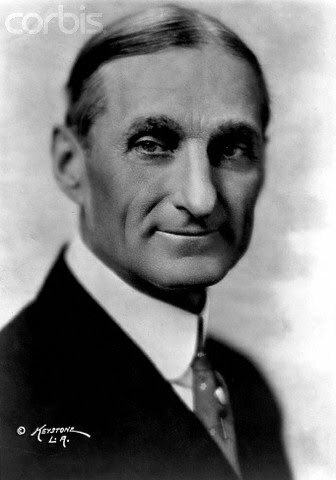 Unlike tie pins and tie bars, they are worn much further up, usually just under the dimple of the tie. A protective back is worn on the point end so as to not bloody your clothes. If your pin didn't come with one, these "keepers" can easily be purchased new. If you look at a stickpin from the side, you should see the pin portion turn 90 degrees before it reaches the ornament. If it's straight, you have a woman's hat pin. Give it to the woman of your choosing, or pass on purchasing it. The ornaments on stickpins come in a vast array of colors, symbols, figures, and shapes. Many have gemstones, others are carved from stone, some are gold, some are micromosaics. There can be griffins, swords, armor, cameos, crecents, crowns, dogs, insects, intaglios, horseshoes, political symbols....or just interesting stones and designs. There are thousands of opportunities to make a statement about your mood or personality in what you choose to wear. 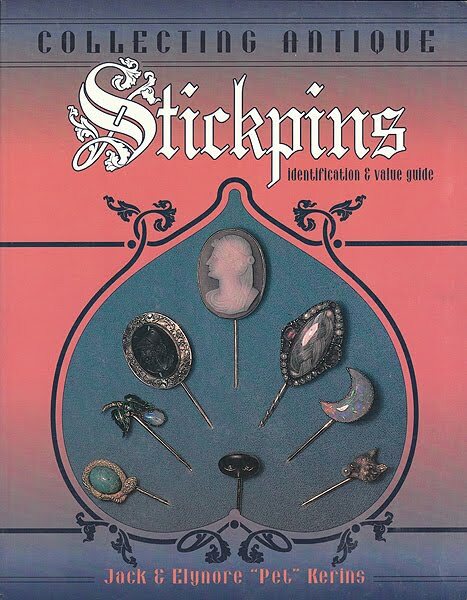 If you want to read up about them, or get an idea on how much they're worth, I'd suggest you purchase the book Collecting Antique Stickpins: Indentification and Value Guide by Jack Kerins and Elynore Kerins. ©1995 and published by Schroeder Publishing Company. I paid a couple bucks for my used (but in nice condition) copy. Also check out a segment of Antiques Roadshow on a fellow's collection of stickpins. Some tips on wearing them: First, if you plan to stick it through your tie, be sure to wear a woven tie! Woven ties hide the holes that stickpins make, and can handle the stress of being stuck multiple times so long as you're careful. I've always preferred woven ties, but I'll cover that topic another time. If you insist on wearing printed ties, or if you don't like the look of the stickpin in your tie, another option is to wear them in your jacket lapel. 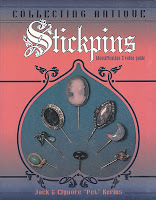 You can find stickpins in flea markets, on eBay, in antique stores, etc. Prices can range from $20 to several hundred dollars. Know what you're buying - several of the stones can be glass or paste (fine, so long as you pay accordingly) and the pins can range from steel to gold plate to solid gold up to about 18 carats. Again, I'd suggest you get the book mentioned above and do some reading and research on past eBay items before shelling out more than $40 or so. But try it out and have fun - it will definitely help you bouge things up a bit and stand out in the crowd. elipool: The concept of traveling in a group by helicopter (versus individually) to save costs. Inventor: My dear friend H.S. indsight is 20:20 they say. This is particularly true when it comes to the lesson I learned about furniture. Like most cash-strapped young adults, I needed furniture rather badly when I moved away from home, and price was a most serious consideration. When you walk into a store like Ikea, you're instantly overwhelmed with the amount of decent looking furniture you can buy with your hard-earned scraps. But the picture quickly turns bleak. You get the boxes home, and they weigh more than your car. They come with instructions in illustration form only, and with a pile of odd, custom hardware labeled L56 and DT205. It takes a few hours to put together; inevitably the veneer gets chipped, and you're either missing parts or you have some left over. And then over a short period of time, the Great Sag begins. Almost all of that furniture is made of particle board: pulped wood chips that are bonded together with some sort of compressed glue. It weighs a ton. Since there's no grain, there's virtually nothing outside of the furniture's design to keep it from sagging. If you ever move, you'll quickly find that this type of furniture was made to be put together once. If you take it apart and reassemble it, it's extremely shaky. After vacuuming it a couple times, the fake plastic veneer begins to chip. The price, though, still makes it attractive. But long term, it's like flushing away money. If you have to buy a bookshelf three times, you're paying for one that could have been made from real wood and lasted several lifetimes. Instead, save your money. Look for real furniture in antique stores, yard sales, junkyards, or at the side of the road. Even if they don't look great, they can be refinished or painted. Couches and chairs can be re upholstered. You're looking for furniture where you like the shape or proportions and the "bones" (aka real wood) are still solid, and then go from there. It takes a little time and some initiative, but you'll be rewarded with furniture that lasts and even still holds some value when your tastes change. As I mentioned at the start, hindsight is 20:20. I got caught up in the Ikea storm, and I'm now faced with throwing away a ton of crappy, particle board furniture that has sagged or fallen apart. I wish more than anything that I had opted for less pieces of better quality. Had I done that, I would not be faced with the unfortunate task of having to buy ALL my furniture over again. The value of what I have is $0, and I likely paid thousands over the past few years. Never again. If I have to live out of boxes or sit on the floor I'll do that before ever buying particle board again. Of note: When it comes to bookshelves, plywood construction with a real wood veneer is not a bad option. The shelves will be solid and will last, and the cross-grain construction of the multiple "plys" will prevent sagging or warping. Make sure it's at least 1/2" or thicker. But solid hardwood is still the best choice if you can hold out. ne day, on a lark, I added a pocket square to my jacket. The outfit consisted of khackis, a pink striped shirt, dress shoes, and a blue blazer. The pocket square was bright green (went with the blue jacket) with a pink border, which picked up the shirt color. This was a silk pocket square, and yet I managed to pull off a two point fold. The look was fantastic - the pocket square tied the jacket and the shirt together and broke up the large field of blue that was the blazer. I'll never go back. Pocket squares (also known as "pochettes" or "handkerchiefs") are perfect; there's not just the variety of colors and styles, but there's also a ton of way to fold them to suit your feeling for the day. If you work at a bank or need to go ultra-conservative, choose a crisp white cotton square and a flat fold. In a sea of suits, you'll stand out - in a good way. If you want to have some fun, pick something with a bold pattern and go with the reverse puff or the dandy. Among other benefits, pocket squares are really quite inexpensive. Sure, you can drop a couple hundred at Hermes, but with the way they're folded nobody will ever know. For about $20 you can find a good selection at Andrew's Ties. A few more bucks at Brooks Bothers will get you one of theirs. The best place to find them is perhaps at sales or outlet malls. These poor stores stock these items in the hope that someone fashionable still exists on the planet. When they find out they're hopes are dashed, they discount the hell out of them. There's even more unconventional, and cheaper ways of obtaining good pocket squares. 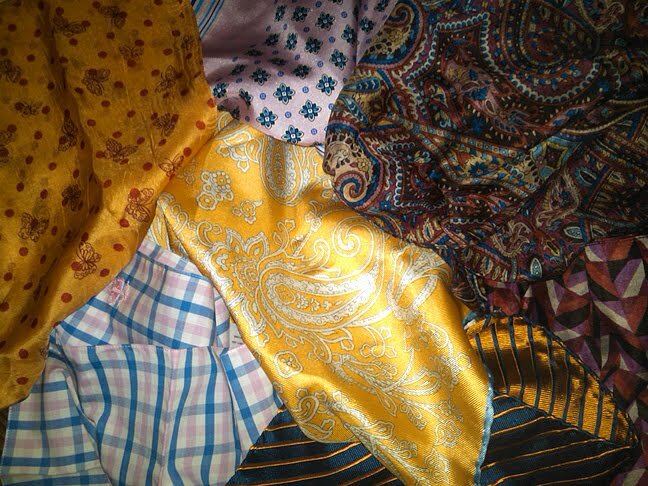 Look for used fabrics that are solids or have small prints. You'll need about 13 to 18 inches of fabric (depending on the weight), square, to pull it off. Take it home, find some matching thread, hand roll the edges, and sew. When sewing, the goal is to sew the bottom of the rolled edge to the flat part of the fabric. The best bet is to buy a pocket square, take it home, and keep it with you to observe how it was sewn. Once you get going, you can pull one off in a little over an hour. SamHober.com - Guide to folding pocket squares. The Art of Manliness - Another guide with a few folds and a video. TiedTight.net - Not the best picks, but a few different folds. Be ever so careful when ironing silk pocket squares. It can be done, but you'd best believe in your iron's low temp setting. Don't steam. Never ever ever buy the "Shirt, Tie, and Pocket Square Combo Packs". It's like advertising that you have no style. Ties and pocket squares should never match, so this is a huge faux pas. Don't be afraid to mix and match patterns. This will give your outfit some interest. Colors don't have to match perfectly. The distance between your pocket square and the shirt (or tie) gives you some flexibility in color palate; if it looks close it will work. You want to match minor colors of the pocket square to the shirt or tie, and major colors to the jacket. Enjoy them! Once you get going you'll never turn back. 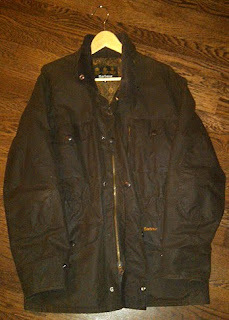 hen it comes to outerwear, few companies match the quality of J. Barbour & Sons. It makes perfect sense, really - the Brits have to deal with crappy weather day in and day out. They chase foxes through the briar. They fish for cod in rough seas. They will not tolerate a flimsy coat. If you go to their site, you'll see some elegant looking crests on the top left of the page. These are royal warrants, the British version of endorsements from the royal families. The Queen, the Duke of Edinburgh, and the Prince of Wales have all decided that Barbour is their manufacturer choice for "waterproof and protective clothing". 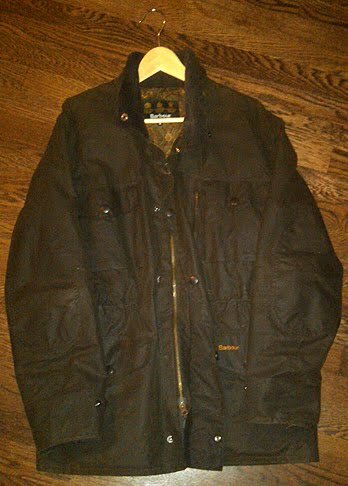 Barbour, founded in 1894, is perhaps best known for their waxed cotton jackets - hard as they may try to extend their product line. A waxed cotton jacket is just that; a multi-layered cotton jacket that is coated with an oily, waxy substance that repels water, wind, and keeps the cotton from getting shredded by thorns. 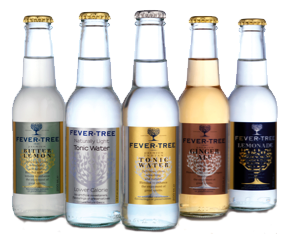 There are a wide variety of styles to choose from. 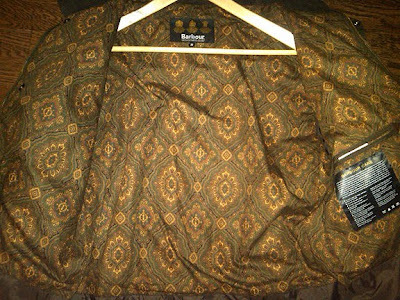 I ended up with the limited edition paisley "Sapper" jacket (left) which I found last-minute from The Welsh Farmhouse Company in the UK. They won't do international orders online; you have to call. They were wonderful to work with. The zippers on all their jackets are left-handed, so that takes some getting used to. Perhaps it has something to do with which side of the road they drive on....who knows. Everything is double-stitched, they employ brass grommets and zippers, and there's a zip-in hood if the situation dictates. The collar is made from a warm courduroy, and the lining.....ah the lining. A beautiful paisely lining that is a departure from their standard (but nice) tartan plaid. If you are fortunate to purchase one of their fine waxed cotton jackets (sorry, the model I got is sold out), be sure to pick up a tin of the Wax Thornproof Dressing (at right). This will allow you, with some patience, to re-waterproof your jacket when necessary. 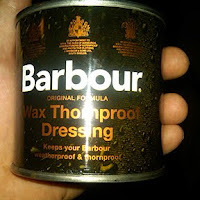 Another tip: It will be necessary to do this when you least want to send your coat back to Barbour for a few weeks. To apply, warm up the jacket either in the sun or using a blowdryer. Warm up the tin of wax in some warm to hot water. Dip a damp rag into the warm wax (not too much!) and apply to the coat in a small circular fashion. Take your time and be thorough - your dryness depends on it! The Brits prefer to wear their jackets into the ground. If the jacket gets holes, they send it in to be patched, and these patches are part of the Barbour wearing culture.....like jeans with holes in them. I plan to take care of mine as best I can, and I'll consider patches on an as-needed basis. The spectacular Barbour Paisley Sapper jacket lining! ure, I did Gillette. Then, after getting tired of paying $4.00 per replacement cartidge and being forced to upgrade handles again and again, I moved onto the disposable ones. The trick was to find disposable blades that didn't have the fake aloe goo in the pad. They became harder and harder to find, and eventually, it was time to bouge it up a bit. For Christmas last year, I finally asked for a "real razor" from Lee's Razors. These are the "safety razors" that Gillette killed off in the 1970s with their less complicated product line. (Which they've since destroyed with their 2, 3, 4, and now 5 blade razors). It's what our fathers used to use, and their fathers, etc for a lot of years. As the gentleman in MiN Soho said, "Men have been shaving for a long time, and they had it pretty well figured out before Gillette came along." The concept is simple enough. A simple metal razor, double sided, that takes a single, double sided razor blade. The blade has a guard, so as to be safer than the scary-looking "straight razor". To change the bade, you unscrew the handle, take off the top, slide out the old blade and add a new one. The handle and guard, being made of steel, last forever. The blades, at about $0.15 to $0.25 per are cheap to replace. Selecting the handle and guard parts are wholly based on personal preference. There are ones with short handles, ones with long handles, ones with wide or narrow heads. To choose one, it's best to go down to a store (like MiN) and handle them in person. I ended up with the Merkur 33C made in Germany (retail price $30.00). Next, you'll need blades. I've tried blades from three manufacturers: Merkur, Wilkinson, and Personna. 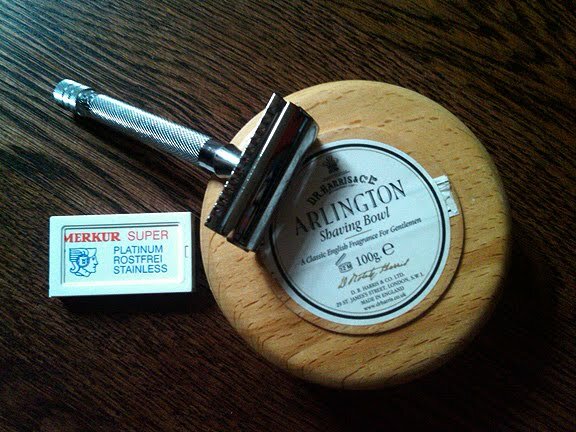 I liked the Merkur blades the best - they lasted the longest and provided what I thought was a closer shave. Next, you need to make a hard choice about shaving cream. If you go anywhere near the spray can crap like Barbasol, you're doing your skin a great disservice. You might as well be shaving with vinegar or rubbing alcohol. That stuff is all industrial chemicals. Instead, you should choose between "brushless" (comes in a tube or a bowl, and you smear it on your face, or hard shaving soaps that require a bush and are like a hockey puck. That puck will last you a very, very long time, so don't bother making a decision based on price. If you're going the brushless route, try Kiehls "Close Shaver's Squadron" cream in a tube. It's a good product with a very faint and pleasant smell, and it works quite well. If you choose the hard shaving soaps, you're in for a treat; there's a hoard of them available in plenty of variety. You also get the pleasure of shopping for a shaving brush, a topic that I'll leave for a separate post. Technique: This is where it all comes together. The first time I tried shaving with this new combo, I got rid of all the hair as well as a few layers of skin. You can't treat this like shaving with a disposable, there's an actual art to getting this right. If you DO get it right though, you'll be rewarded with the best shave ever. Here's a few simple tips that I learned after the first go at it. They're simple, and if you mind these you'll be just fine. For additional help, take a look at the Shave Den online community. Make sure your face is fully wetted (soaked) with warm water. It takes about two minutes for hair to fully absorb water. After a shower is fine. Lather up with shaving cream. Brushless or otherwise is fine. Use the widest angle you can. This means keeping the razor at a constant angle as far away from 90 degrees as possible, while the blade still touches your face. Do not press on the razor! Let the weight of the razor be your guide on how much pressure should be applied. If you don't get all the hair in the first pass (as is typical) then lather up and do it again. This requires some time and patience in the morning, perhaps as much as 15 minutes. But like winding your watch in the morning, it's a lovely routine to use to get your day started. Give it a try! Merkur 33C Razor, Merkur blades, amd Dr. Harris & Co hard shaving cream. don't know why it happened. Really, I don't. My parents aren't like this. My sister's not like this. We grew up being frugal: used cars, brought lunch to school, rarely went out for dinner. Mom used coupons at the grocery store. Our house was comfortable but small. Didn't have a TV until I was almost through with high school. My clothes were sourced from Marshall's. And yet, through all of that I've somehow ended up being fascinated, drawn to, perhaps even obsessed with the best everyday items one can find. There are a lot of people in the world who equate quality with expense. As near as I can tell, this is most typically associated with people that obtain a lot of money in a very rapid fashion, and they want to show it off. Like the Swarovski crystal toilet. Did you look at it? The base is metal, and we're all quite aware that decent toilets are porcelain over cast iron (circa 1920s). So this toilet is not the *best* toilet, regardless of it's exorbitant cost. In defining "best" there's also the consideration of craftsmanship. I'm disgusted with all the mass market consumer goods out there, designed in the US and Europe and then manufactured in a plant full of underpaid workers who are just trying to make it through another grueling work day. With more and more goods being produced in this manner, it's no wonder that the few holdout craftsmen are sought after. From the umbrella makers in England to the handmade shoes of Alden to the hand-cut, hand tailored suits made in the back alleys of Turin - there are still people out there that care about their product and take pride in their trade. Perhaps it's just that - fascination and envy of people who are talented with their hands - that draws me to desire, appreciate, and at times even covet some of the best and most wonderful things humanity has made for itself.